The mortar and pestle have been around since time immemorial. People in the ancient times used this not just for cooking purposes but also for medicinal purposes. It is used to grind things like seeds, roots, herbs and leaves, turn them into a paste or get their juices. Even in this modern day and age, there is still a place for the mortar and pestle in the kitchen. While you can certainly get a food processor, there are benefits to the mortar and pestle that just can’t be dispensed with. With its use, you can release essential flavors and aromas in the ingredients that might be otherwise lost if you just simply grind or cut through the ingredients. There is a multitude of options out there when it comes to reliable mortar and pestle and we found the ones that will fit the needs of different types of cooks. Before we get into the best mortar and pestle you can find in the market today, let me first get you familiarized with the different types of mortar and pestle you will see. Mortars and pestles made out of stone are probably the sturdiest you will find in the market today. Stone mortar and pestles can be made from granite or marble. Granite ones tend to give off a rustic feel, while marble ones look a whole lot more elegant. 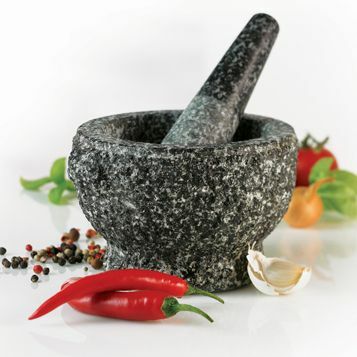 What is great about stone mortars and pestles is that you can use them to crush the hardest of ingredients such as peppercorns, nuts, and even uncooked rice. Its hard surface will let you put enough force into the food you are crushing even until you produce powder-like consistencies. Perhaps the only downside to stone mortars and pestles is that you have to season them first before using them when you find chalk on them upon purchase. To season a stone mortar and pestle, simply grind some white rice in it and throw the rice away once it becomes completely powder-like. After grinding the rice, simply rinse it with warm water and dry it with a clean washcloth. Once completely dried out, take half a lemon, rub it generously around your mortar and pestle, and rinse once again before use. When washing your stone mortar and pestle, try to refrain from using soap. Try to use lemons to clean out your stone mortar and pestle instead to avoid letting your mortar and pestle get a lingering soapy scent that can leach into your food. 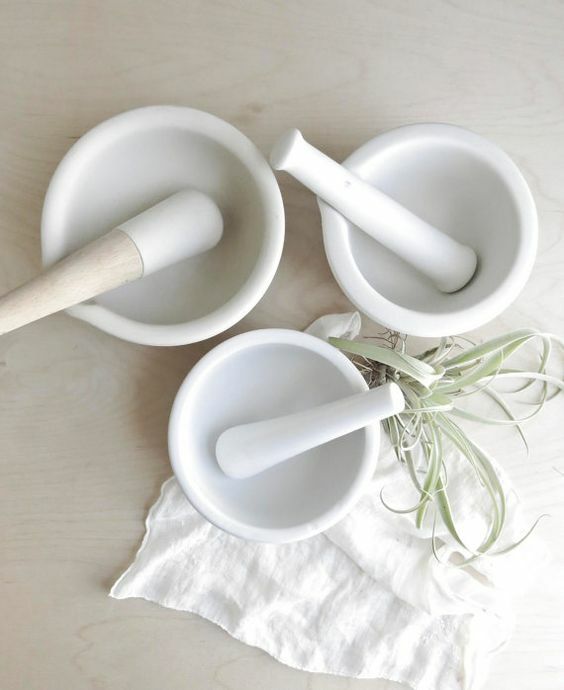 Wooden mortars and pestles can really look great in any kitchen. 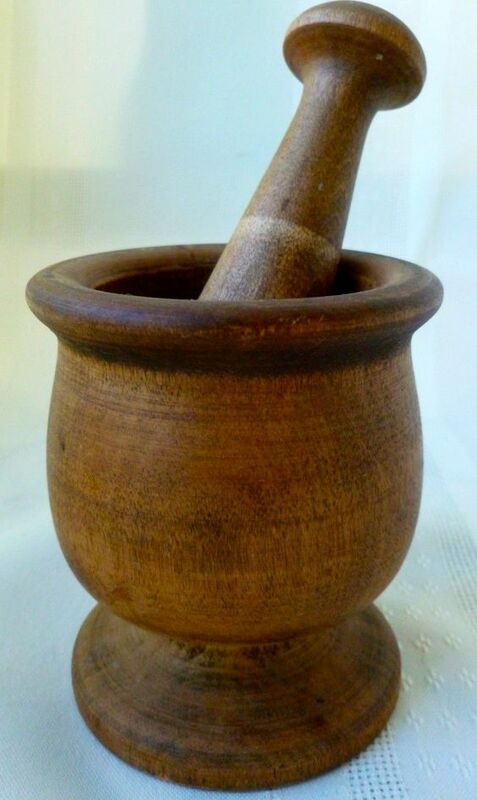 If you do not plan to use your mortar and pestle on really hard ingredients, you can do fine with a wooden one. Also take note that wooden mortars and pestles require more effort when it comes to maintenance. 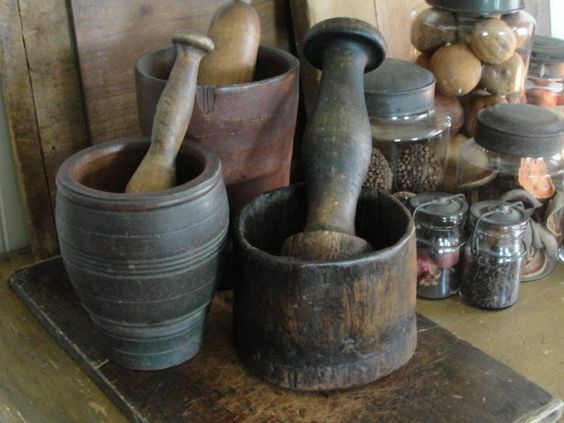 Always keep your wooden mortars and pestles dry to avoid mold build-up that can render it unsafe to use on food. Other materials that are used to create mortars and pestles are clay and porcelain. Clay mortars and pestle look really nice, but they are too light and fragile to be used for crushing food. Porcelain ones on the other hand, are also light and look very elegant, but are ultimately the most fragile of all types. Now that you are well aware of the different types of mortars and pestles you will be able to find in the market today, it’s now time to discuss which features you ought to be mindful of before you make a purchase. The first thing that you should consider is the weight of the mortar and pestle. Remember, the heavier your mortar and pestle is, the less effort you will have to put in when crushing ingredients. Also look for a mortar and pestle with a really hard surface, so that you’d be able to put a substantial amount of force into it without worrying if it will get dents or cracks. The next thing you should look out for is the smoothness of the surface. try to avoid mortars and pestles with porous surfaces since these can be hard to clean and can retain food odor and hold on to oils that can easily turn rancid over time. What you need to look for is something that’s neither smooth nor rough. Getting one that’s too smooth will only make it difficult for you to crush ingredients since the ingredients can easily get thrown off the mortar. 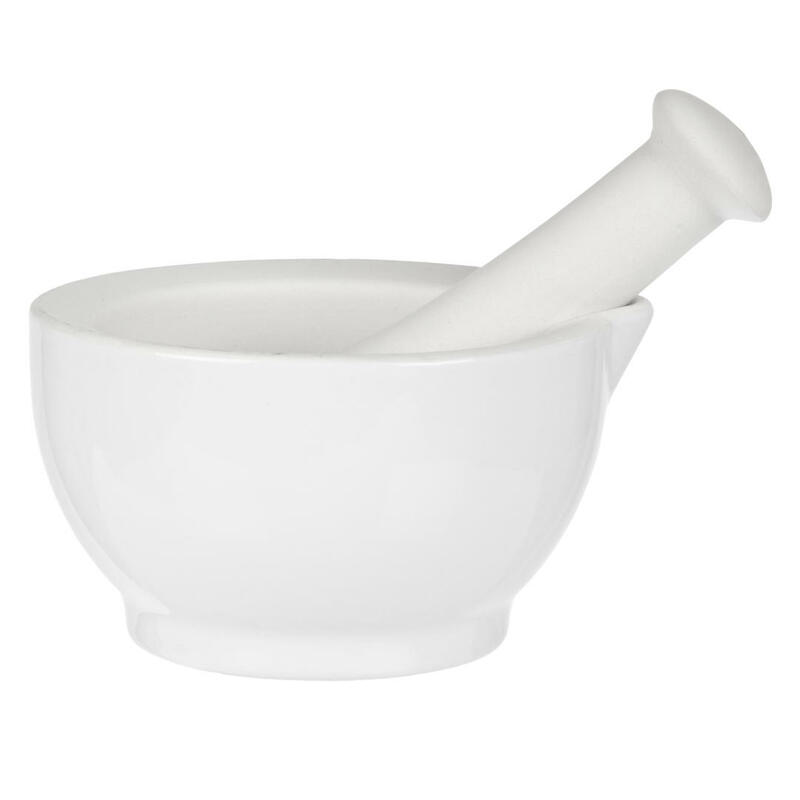 Try to look for a mortar and pestle that comes with a slightly pebbled or matte finish for just enough friction. 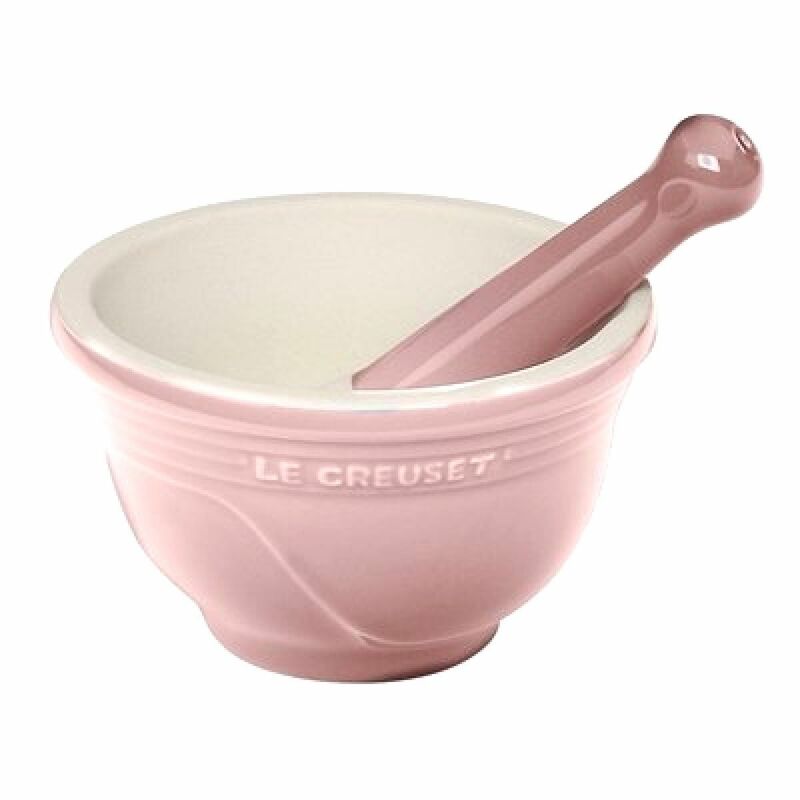 You may also want to look out for a mortar and pestle set that comes with a stable base and an easy grip. Having a stable base is very important because it will allow you to effortlessly move the pestle around without having to worry if your mortar will tip over. Also, make sure that the pestle that comes with your mortar can be easily gripped to ensure the overall ease of use. The last important thing you need to be mindful of is the size. This will, of course, depend on how much you actually plan to crush in your mortar and pestle. If you plan on creating plenty of crushed herbs and spices, then you might as well go with a medium to large size one. But if you’re just planning on crushing a bunch of small pills, you can do just fine with a small one. This mortar and pestle set is probably the best all-around set you can find in the market today. What’s great about this set is that it comes with a fine tip that’s ideal for pouring out the smallest grains of crushed ingredients and it has a coarse surface that provides just enough friction to let you grind ingredients until you end up with a powder-like consistency. If you are looking for a fine looking mortar and pestle to add to your kitchen or to give as a gift, this one comes with a fine polished finish that gives it an elegant look. It also falls within the medium size range making it able to fit any kitchen drawer or cupboard. If you are looking for a mortar and pestle set that is very cheap but still performs at par with other more expensive sets, this might be the best choice for you. 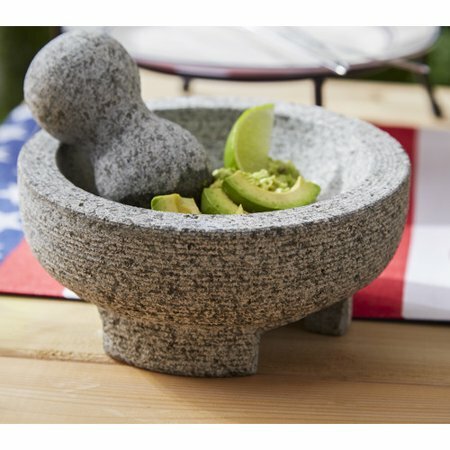 The IMUSA USA Granite Molcajete Spice Grinder is made with heavy duty material that will require minimal effort to crush the hardest of ingredients. What’s great about this set is that it’s merely a third of the price of other sets. Needless to say, this mortar and pestle will help you perform all sorts of tasks from mashing soft ingredients to crushing hard peppercorn. Le Creuset never fails to produce a great-looking kitchen and cooking ware. This mortar and pestle are not an exception. You can get it different colors and if you already have those Le Creuset Dutch ovens in different colors, this set will fit right in. Do keep in mind that since this product has a very nice look to it, it can take some effort to maintain. It is dishwasher-safe, but you’d have to avoid using it to crush tough ingredients such as whole pepper to avoid breakage. If you plan to crush small quantities of herbs or if you just want to crush a bunch of pills, this is the best mortar and pestle set for you. What’s great about this set is that it comes with a very attractive design in a miniature size that would let you store it pretty much anywhere in your kitchen. Another great thing about this set is that its small size requires minimal effort when it comes to cleaning. And since it comes with a fine polished finish, a simple wipe or a scrub followed by a rinse of warm water will do just fine. This is also ideal for kids to use. It’s just right for small hands and can be easy to use even for kids still practicing with it. This mortar and pestle set is the most expensive one on this list, but do not be discouraged by its price tag just yet, because if you decide to get this product you will surely get what you pay for. Unlike most mortar and pestle sets, this one comes with a really big pestle that will let you effortlessly crush all sorts of ingredients, even the hardest ones, in such a small amount of time. Since the end of its pestle is really large, you will have a huge surface area for crushing. This means you don’t have to move your hand as much to crush every bit of your ingredients. Which of these products is the best choice for your needs? Go for the Super Smash Large Ceramic Mortar & Pestle if you often do a lot of crushing. It’s ideal for those whose recipes require lots of crushed ingredients and can be a reliable set as well for those with a restaurant or a catering business. 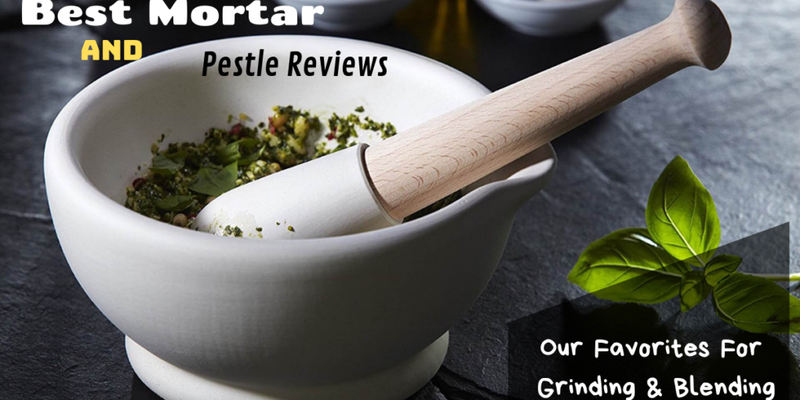 If you don’t crush ingredients that often or you just need it in your kitchen occasionally, the Amazing Child Montessori Mini Pestle and Mortar is a great choice. It’s ideal for those with small cooking needs and can also be used by children. If you like one that looks nice and classy, go for the Le Creuset Stoneware. It has a nice and attractive design that will work well with the pots and pans you have in your kitchen. Choose the IMUSA USA MEXI-2011M Granite Molcajete if you like something rustic. It is cheap and has a big surface, so you can crush more ingredients. 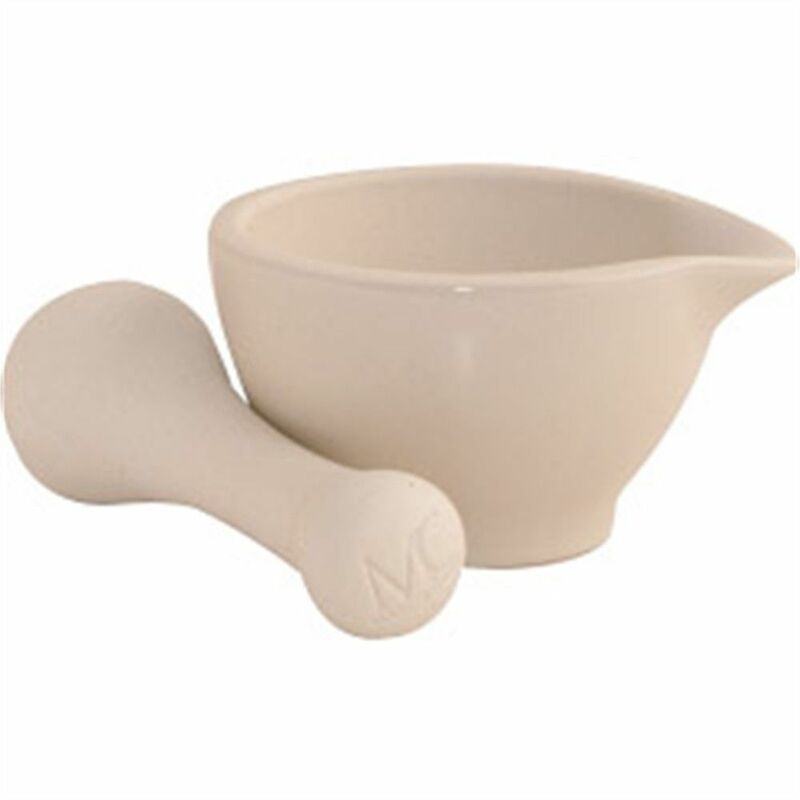 For those who crush dry ingredients and need to get their ingredients to a fine consistency, the Mason Cash Stoneware Medium Pestle and Mortar won’t disappoint you. Even if this is your first time to shop for mortar, you can agree with me that Mason Cash Stoneware Medium Pestle and Mortar is the best mortar and pestle that will give you value for your money. It has a fine tip and can pour out even the smallest grains. 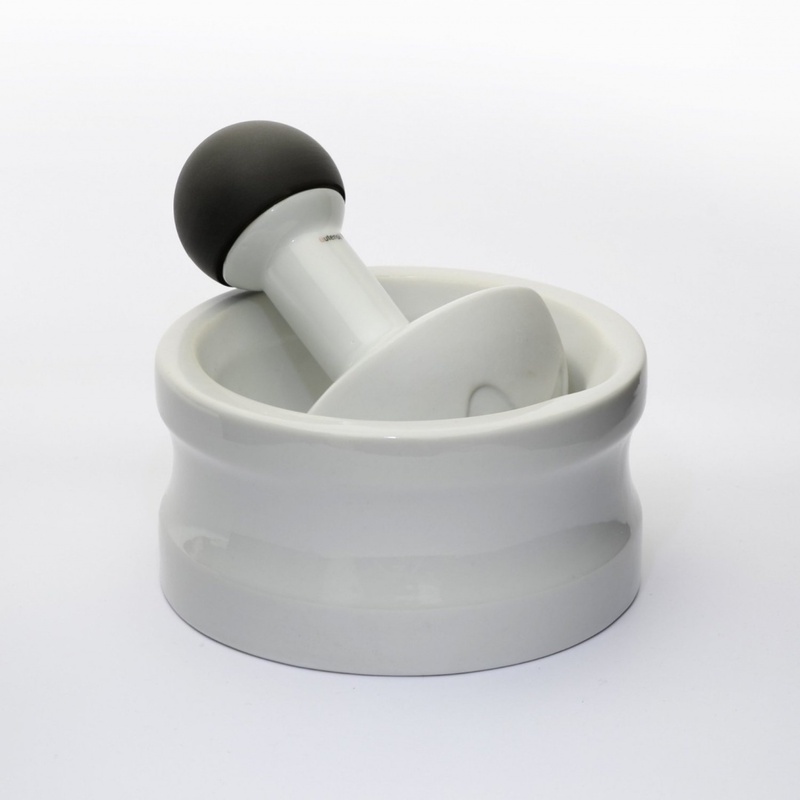 Identify your needs so you know which of these mortars and pestles are ideal for your needs. Make sure you check out our homepage to read more reviews on kitchen equipment and tools. You can also read more product recommendations as well as buying guide to help steer you in the right direction.